Promoters said the US singer will play at an 8,000-capacity university stadium in the southern commercial hub of Ho Chi Minh City next month. Organisers are expecting the concert on April 10 to sell out to a mixed crowd of Vietnamese and foreigners of all ages. General admission tickets are priced at 900,000 dong (£26.60), slightly higher than Vietnam's monthly minimum wage, while VIP tickets are 2.5 million dong (£73.90). 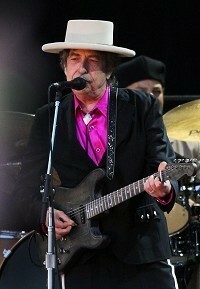 Earlier this month Dylan was cleared to perform in Beijing amid worries that the Chinese government would block his planned shows given the folk singer's anti-establishment reputation. China's Ministry of Culture said in a notice posted on its website that Dylan would be allowed to perform in Beijing between March 30 and April 12.